There are no comments for I Love Camping. Click here to post the first comment. 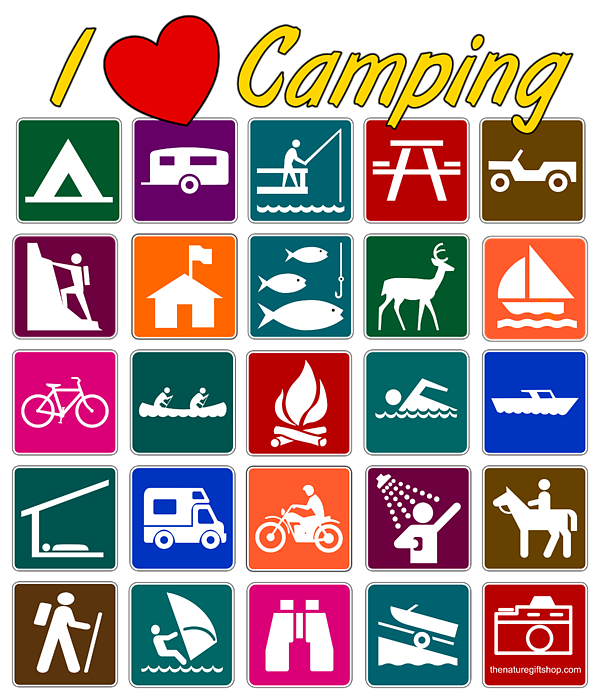 Enjoy these colorful camping symbols year-round with our "I Love Camping" artwork. A perfect addition to your RV or camp box. And a colorful reminder in mid-winter that summer camping will be here again before you know it! The Nature Gift Shop features artwork and items with a Nature theme.